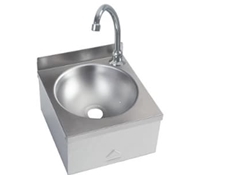 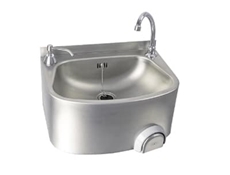 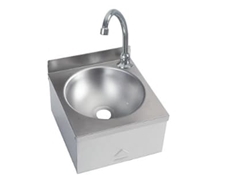 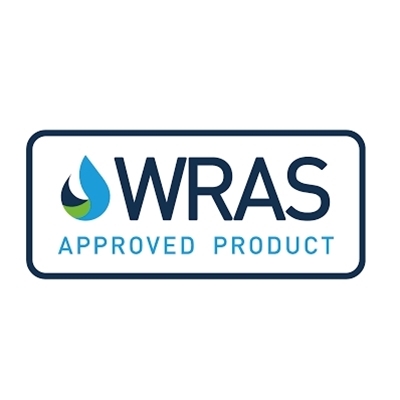 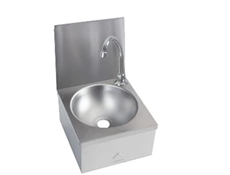 WRAS approved knee operated wash hand basin with rear splashback. 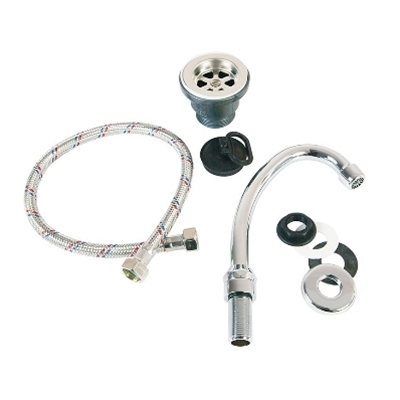 Wall Mounted - Satin Finish - Splashback - Mixing Valve - Timed Knee Operated Tap - Next Day Delivery. 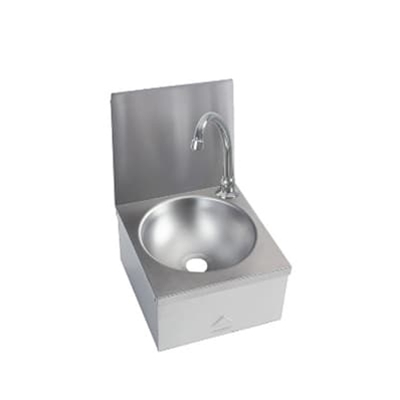 Unit is fitted on the wall by heyhole slots on the back and comes complete with combined overflow waste kit.